Few things are more fun than watching party animals get a little older and realise that partying 24-7 might not be the best thing ever. Related: I love Bleeding Knees Club. Find out how much here, as I review their new Chew The Gum release for Rolling Stone. Found a throwback! To the time I got to chat to Rivers Cuomo in 2009. It was pretty ace. 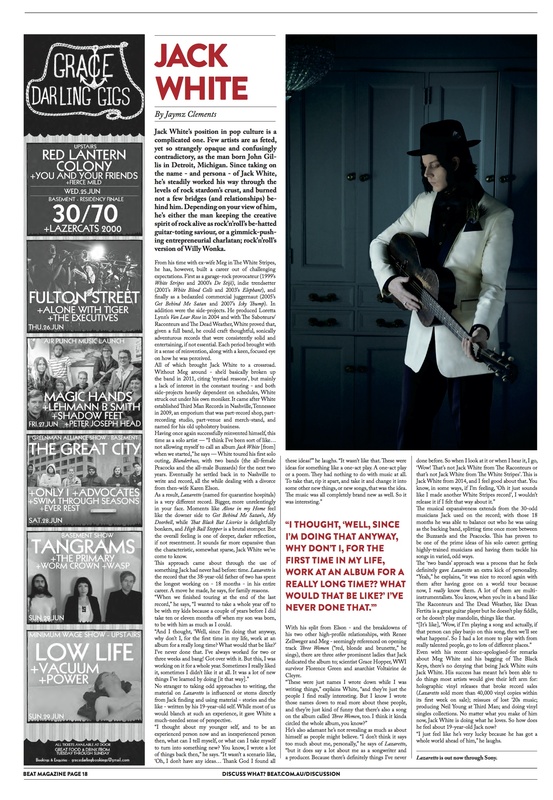 I also reviewed the (excellent) new album from Darren Hanlon, Where Did You Come From, in the current issue of Rolling Stone. Nice. Check it out here. Hint: it’s one of the best Australian albums you’ll hear this year. I reviewed Gracetown, the second album from growing-up-before-our-eyes Freo indie kids San Cisco, for Rolling Stone. Read it here, eh? 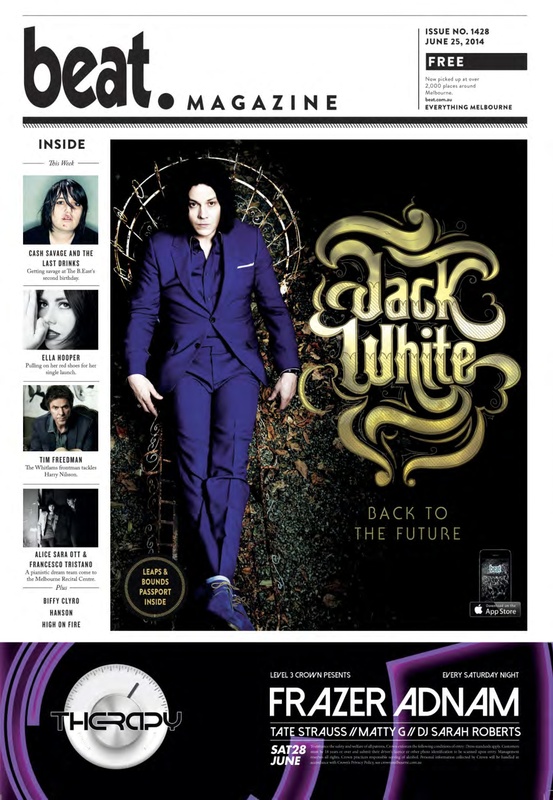 Jack White’s a fascinating guy…. if a confusing, conflicting kinda dude. 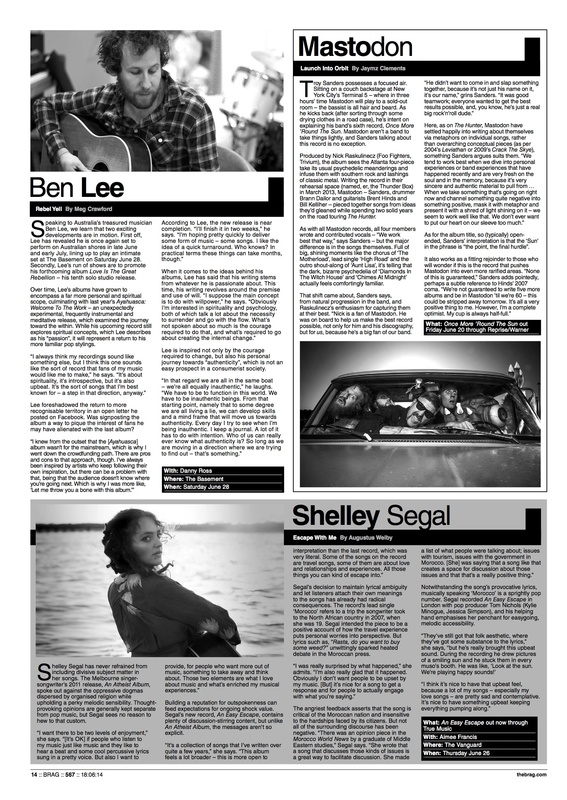 My cover story for Beat? It’s here. Few things make me happier than a new Mastodon record. One of those things is writing about Mastodon. Which I did. For the fourth time. Here for Beat. And here (and below), for the print edition of Brag.